What is a Special Collection? Citing a primary source document, from an archives, varies depending on the preference of your instructor, the publication you are submitting the article, or the discipline in which you are operating. You may wish to consult the Purdue Online Writing Lab (OWL) for further information. The particular style may be the American Psychological Assocaition (APA), the Modern Language Association (MLA), the Chicago Manual of Style, etc. 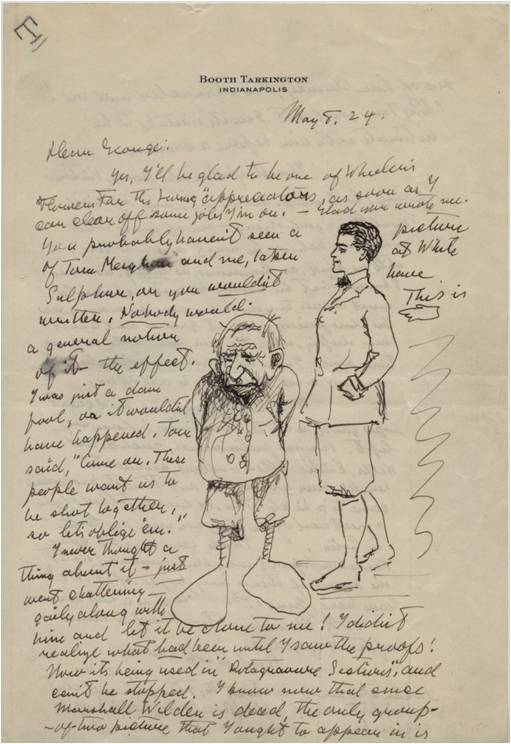 There are several elements to the citation which may be necessary to properly cite a document such as the Booth Tarkington letter to the left. The document: The creator or author, specific item title, page, section, date. Box and file number: The majority of materials found in archives, that are not books, are housed in some sort of container and within the container the various items are separated for various reasons in files. Repository: This is the name of the archives. Series: Series 2: Correspondence, ca. 1882-1947; n.d.
Archives: Purdue University Archives and Special Collections, Purdue University Libraries, West Lafayette, Indiana. Tarkington, B. (1924, May 8). [Letter to George Ade]. George Ade Papers, 1878-2007, Purdue University Archives and Special Collections (Box 10, Folder 5), Purdue University Libraries, West Lafayette, IN. Tarkington, Booth. Letter to George Ade. 8 May 1924. George Ade Papers, 1878-2007. Purdue University Archives and Special Collections, Purdue University Libraries, West Lafayette. 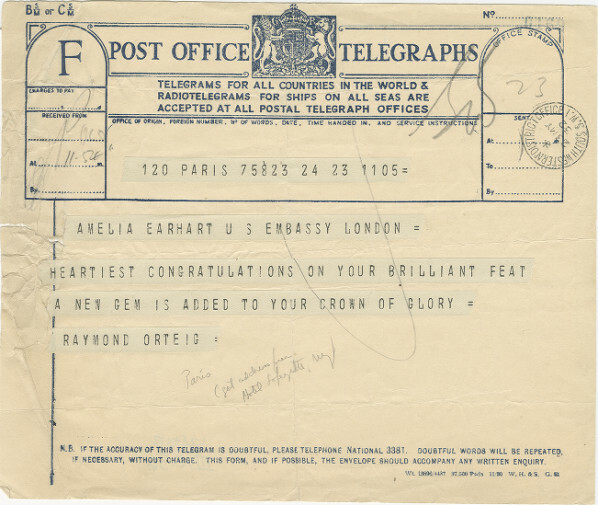 The telegram, shown on the left, from the George Palmer Putnam collection of Amelia Earhart papers, 1785-1948, is found online in Purdue University Archives and Special Collections' e-Archives. It is both a paper document in the collection and a digital object in e-Archives. The best way of citing this document as a digital object using one of the above formats, APA, MLA, or Chicago Manual of Style is to add the Reference URL at the end of the citation.